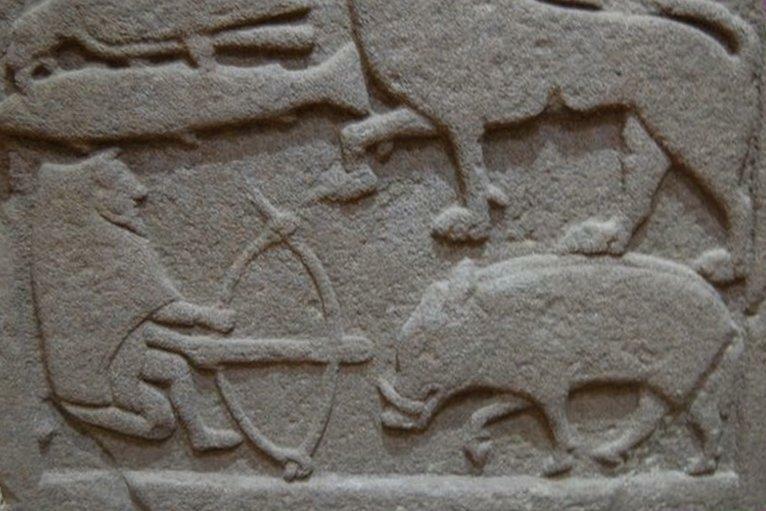 Pictish Crossbowman - Detail of the Drosten Stone, Scotland, 9th Century. St Vigeans Sculptured Stones Museum. The Drosten Stone is the most important stone in the museum's collection. It is thought the stone was commissioned by a rich or possibly royal patron, Drosten, in the 9th Century to honour St Vigean who died in 664.